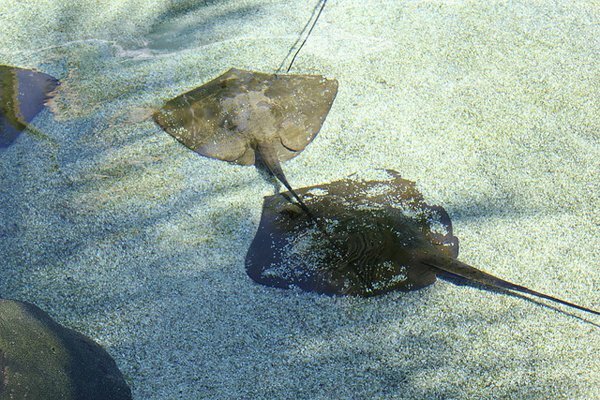 AUSTRALIA – Jellyfish and sharks and dingos! Oh my! Down Under is damn scary. Where did these glorious beasts come from? We can't forget the infamous dingo. While not commonly considered dangerous to humans, there is the unsolved case of — as in, "A Dingo Ate My Baby." Yes: a true story. Not just a episode. 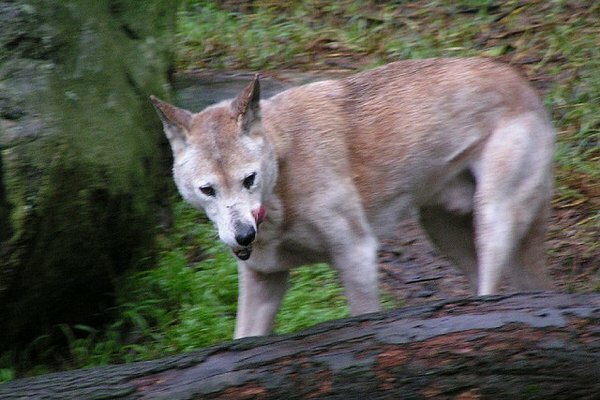 Whether or not a dingo ate the baby was never resolved. It's also said that they like to take iPods. Australia, you mad menagerie, thanks for the fun. Average weight of a male is 1,000 lbs. Photo: Courtesy of / Flickr. 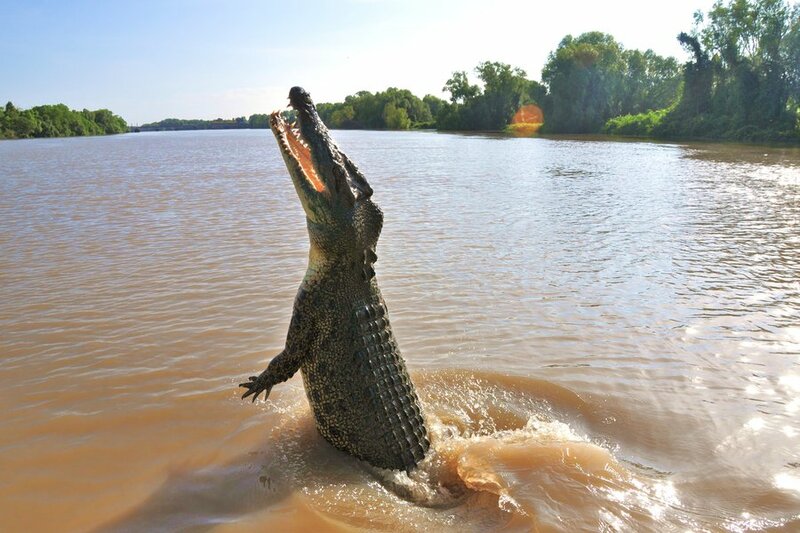 Salties, as the Aussies say, are the world's largest crocodiles. They can easily split a human in half and can reach up to 17 feet in size. That's more than three times the size of, oh, me. Salties also like to watch their prey before attacking. Creepy. A nice woman I met at told me that the same croc watched her and her husband for three days during a camping trip. Horrifying. 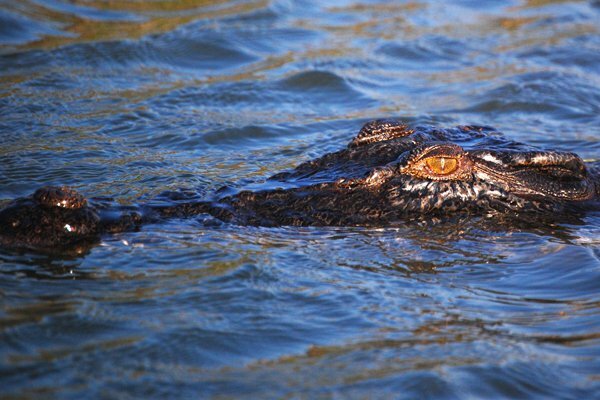 : Giant crocodile who terrorized Australia's Northern Territory in the 1970s. It was killed by accident, and is now on view at the Museum and Art Gallery of the Northern Territory. Of course I can't talk about the weird animals of Australia without mentioning the country's mascot. The sweet looking animals really are all over in the countryside — and they can be a major hazard to your car. Roo crossing signs are common, but when accidents occur, Australians will scoop up the roadkill, strap it onto the roo rack, and take it home to eat. I can respect that they're not going to waste, but I'm not eating kangaroo for lunch. Photo: Courtesy of /Flickr Commons. 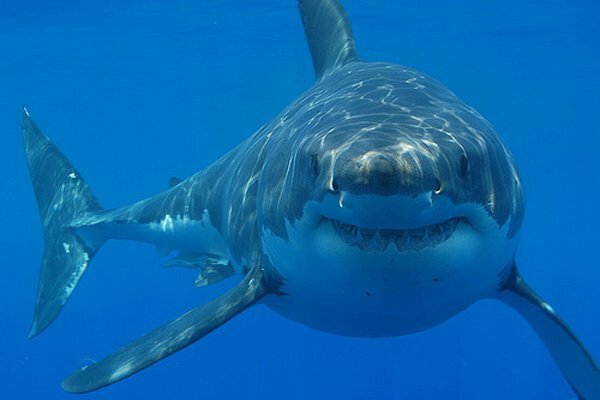 There are more than 166 shark species in Australia. Attacks are a reality, but very rare. When I was on Whitehaven Beach, baby sharks swam around my feet. I tried to remain calm, reminding myself that they weren't the dangerous ones, like bull sharks, tiger sharks, and great whites. 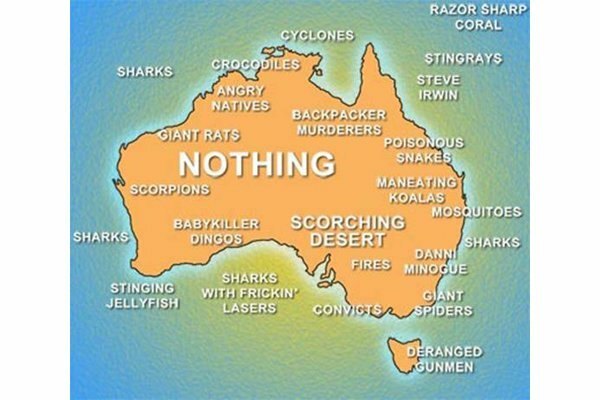 Let's just review the wonders that await travelers to Australia. Thanks to for this excellent map, which will be giving me nightmares for the next decade. 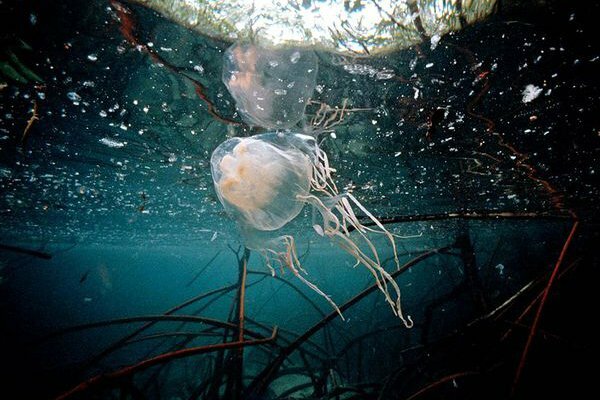 How can you protect yourself from the perils of the jellyfish? By wearing a totally ridiculous looking head-to-toe . (Think wetsuit, with mittens and hat.) Yes, gentle readers, I wore one. They are also brilliant sun protection for the fair of skin. 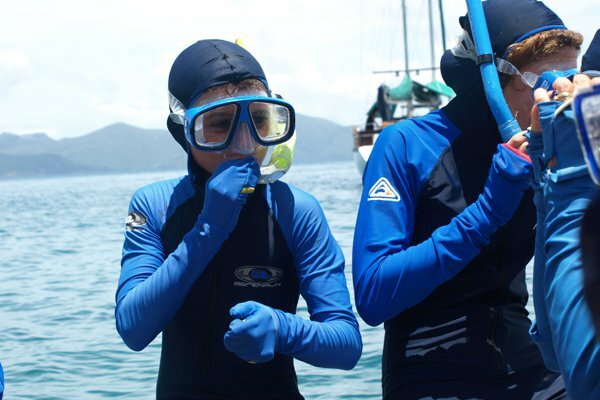 Goofing around in stinger suits on Whitehaven Beach. Signs of a sting can take up to 24 hours to show. Photo: Courtesy of /Wikipedia. They're considered the smallest animal capable of killing humans. Oh joy: extremely poisonous and too small to see. 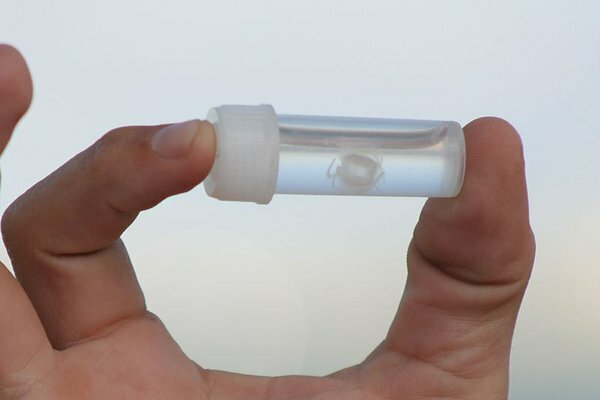 These hard-to-spot creatures, also known as sea wasps, are poisonous and potentially deadly. If you're lucky, they'll just leave behind a nasty scar. Who knows what evil lurks? Photo: Courtesy of / Flickr Commons. I just returned from a lengthy stay Down Under, with stops in Sydney, Darwin, Whitsunday Islands, and the Great Barrier Reef. I loved it. But I couldn't help but notice that Australia is totally full of scary, dangerous, and weird-looking animals. To my sick amusement, many a dinner conversation was spent dissecting local shark attacks and poisonous jellyfish stings. And those were the happy stories. Once I was safely back in New York, I indulged in a quick Google search to validate my irrational fears. 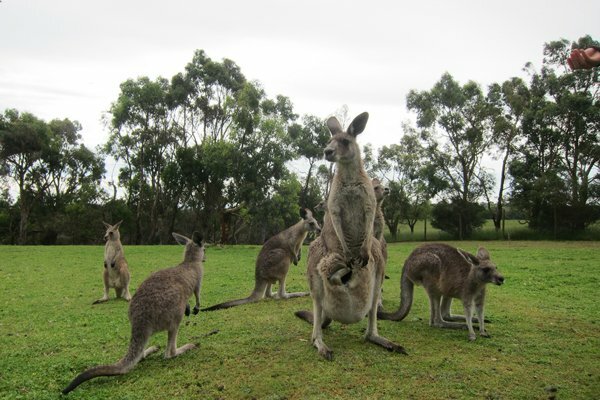 For your eye candy pleasure, here's a rundown of the wild and untamed beasts of Australia.